Once you download the Booxotel Hospitality Suite, you may then begin tailoring your system to match the various requirements of your hotel. This initial set-up - called the Hotel Build Process - can be as simple or as complex as needed for your hotel's day-to-day operations. When your system's step-by-step build process has been completed, you'll be up and running! There are two scenarios which you can use to build your hotel in Booxotel: a Single Staff Build and a Multiple Staff Build. Single Staff Builds are generally appropriate for smaller hotels with a minimum of sales outlets and retail products. Multiple Staff Builds enable you to set up the minimum requirements needed to initialize all of Booxotel's core components before delegating the task of data input to those hotel staff members responsible for various aspects of your hotel's operation. A comprehensive discussion of Single vs. Multiple Staff Builds can be found in the topic entitled Hotel Build and Testing Ensures Accurate, Efficient Operation. After all of your hotel data has been entered into your Booxotel system, you will be greeted by a Congratulations screen. This Congratulations screen indicates that you will have officially entered the 14-day system test period. This test period has been implemented to ensure that your staff has adequate time to become familiar and comfortable with Booxotel's intuitive and efficient workflow BEFORE you use your system with real customer data. After any number of testing rounds has been completed to your satisfaction, you can transition from your previous hotel management workflow to your new Booxotel system. Transitioning to Booxotel will begin your 60-day Free Trial Period. Once you have tested your system and are comfortable with your new Booxotel Hospitality Suite, you can start using your system for real customers using real customer data. 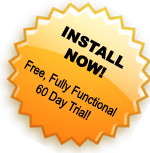 During this 60-day Free Trial Period, your Booxotel system is fully functional and free from any fees. On your 61st. day of use, however, the system will begin keeping track of your room occupancy statistics for Booxotel-User billing purposes. To view a brief overview of how you will build your hotel in Booxotel, please click on the View Demo button shown below. Building Your Hotel in Booxotel.